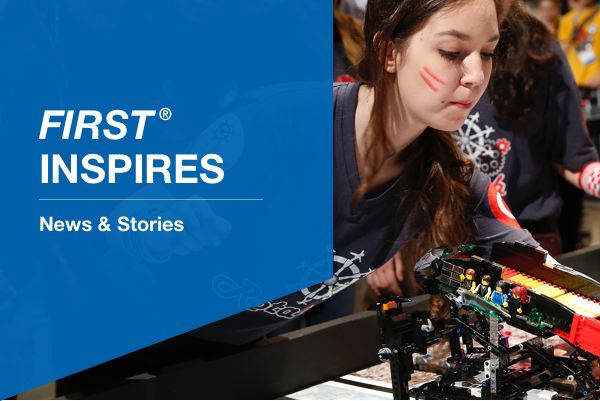 At FIRST®, we’re intentional in our work to engage girls and other underrepresented and underserved youth in STEM. Nancy Boyer, Director of Research and Evaluation at FIRST, explores how rethinking the approach to teaching youth without access to STEM experiences can reduce the gaps in STEM skills. After Hurricane Maria, the FIRST® LEGO® League 2017/2018 challenge HYDRO DYNAMICSSM is especially relevant to teams in Puerto Rico. Coach Alma Bertoni shares the story of how her team practiced without regular electricity and worked to bring purified water to local communities. During his State of the State address, Michigan Governor Rick Snyder recognized students from two FIRST® Robotics Competition teams for modifying a ride-on car for Jeremiah, a child with limited mobility. Through FIRST, the teams developed the hands-on mechanical and electrical skills needed to customize the car, bringing Jeremiah freedom of movement at a fraction of the cost of an electric wheelchair. You received this email because you are subscribed to Newsletters from FIRST.